Taking a Closer Look at TDS/EC for Your Hydroponic Nutrient Solution - Rosebud Magazine Hydroponics Lifestyle Growing And Entertainment! 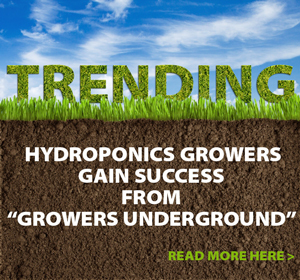 Balancing numbers is one of the big challenges hydroponics growers face. 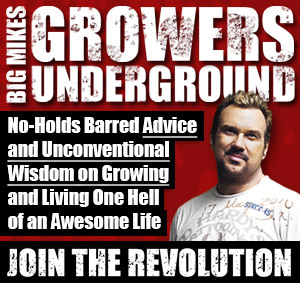 Greg Richter is an aviation and hydroponics engineer who created the PurGro Grobot Evolution. After pH, the number most hydroponic growers pay attention to is total dissolved solids (TDS), which is measured in parts per million, or PPM. That’s the amount of good stuff like nutrients in your reservoir for feeding your plants. So how do we determine the concentration of nutes in the res? In hydroponics, we measure electrical conductivity (EC), which, while relatively effective, is still the cause of endless Internet debate and coffee consumption at hydro stores. The longer you run your res, the more your plants will change what’s left in the water, and the further from “close enough to table salt” your PPM conversion is likely to become. Two pieces of 1-square-cm metal, spaced 1 cm apart and dunked into your res will read electrical conductivity directly on a sensitive meter. Because pure water doesn’t conduct electricity well, we can assume that higher conductivity means other stuff is dissolved in the water. The problem is that we have to do some industrial-grade guesswork as to what’s in the water that is making it conduct. Mixing water with table salt? Multiply EC by 500 and you’ll get the PPM. Stirring up a solution of water and potassium chloride? Multiply by 700 to get PPM. Using a commercial nutrient made from elf plasma, high-frequency water and bat guano? Neither scale is right, but the manufacturer should tell you which setting to use so that your meter will match theirs. GH and Dutch Master both use the 500 (NaCl) scale. 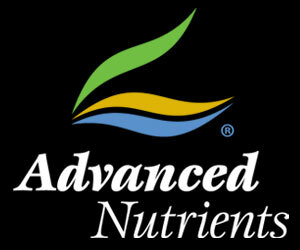 Advanced Nutrients uses the more precise 700 (KCl) scale. You can always multiply by 5/7 or 7/5 to switch back and forth, but who wants to bother? Just calibrate your probe to match and you’re good. The longer you run your res, the more your plants will change what’s left in the water, and the further from “close enough to table salt” your PPM conversion is likely to become. What makes for a good approximation out of the jug may not be so good after a couple of weeks. EC is always EC, but what’s left in the water and causing that EC reading changes based on what your plants (and microbes) are eating. This is why we dump the res every so often. It’s not that you can’t fix what’s in there – you just don’t have the instrumentation to tell what it is because, from a conductivity standpoint, it pretty much all looks like salt. Greg Richter wrote this article and invented the GroBot, which is highlighted in this video.